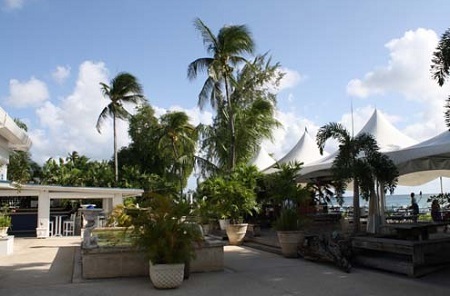 All Seasons Barbados Hotel in St. James, Barbados! Bid per Room per Night and Choose your Length of Stay! at All Seasons Barbados Hotel in St. James, Barbados! 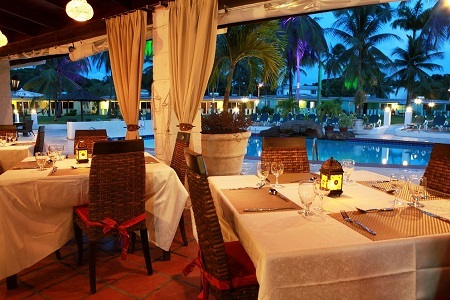 All Seasons Barbados Hotel is a tranquil, relaxing oasis on the platinum west coast of Barbados. You will stay in your own private cottage complete with parking, surrounded by hundreds of palm trees on our 4.5 acre resort. The beach is just minutes away and you will have access to the exclusive ‘Beach House’ where you can sink your toes into the soft, white sand and float on the gentle azure sea. 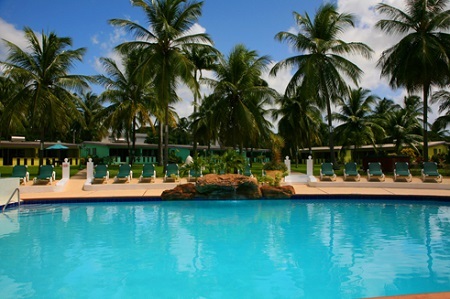 When you visit All Seasons Barbados hotel, the Barbados breeze will stroke you, the nearby beaches will wash away your worries, and the fresh water pool will cool you down under the hot Barbados sun. Our Barbados hotel, originally known as the Europa resort, has grown and developed over time into the All Seasons Resort Barbados. 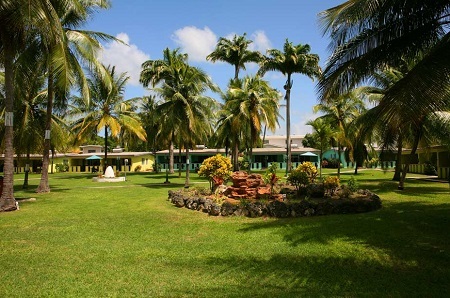 Our 4.5 acre resort includes a full sized, fresh-water pool, gentle cascading waterfalls, a breezy restaurant, a hotel bar and games facilities. At All Seasons Hotel you can enjoy Barbados’ west coast, perhaps the most desirable holiday location in the world, without breaking the bank. Our All Seasons Resort family are here to ensure that whatever you need from your Barbados holiday, they will meet it. They understand the need for your holiday to be relaxing and that is why they are only too glad to help. We want you to be more than just a room number. When you come to the All Seasons Resort, you will experience true Barbadian hospitality, so you leave wanting to return year after year. Offer is based on single or double occupancy in a One Bedroom Garden Suite. 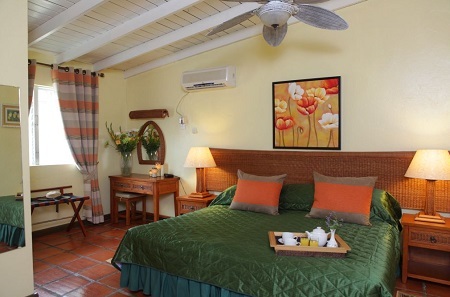 One Bedroom Garden Suite is available with 2 single beds or a king bed. Each apartment contains a kitchenette complete with stove and refrigerator, a living/dining room, bathroom and verandah with a pool or garden view. The apartments are also equipped with satellite television. Ceiling fans are provided in the bedroom & living room & there is A/C in the bedroom only.